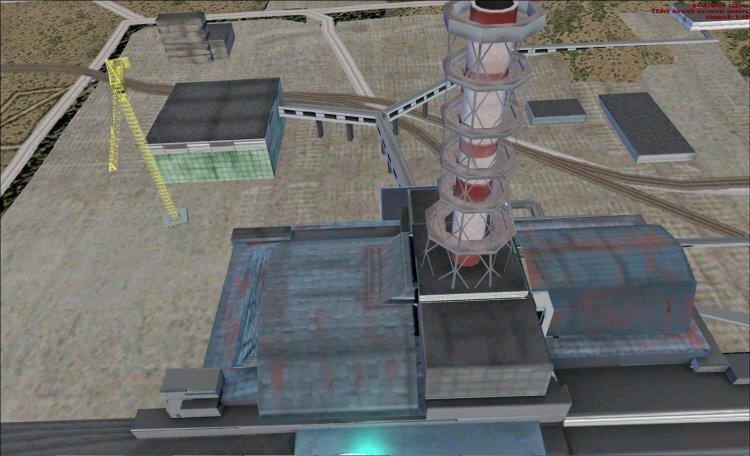 Chernobyl AES Scenario | Rating: 4.3! I founded this scenario in internet and liked it:). It include Chernobyl AES, cooling pond and a part of Prypiat town. 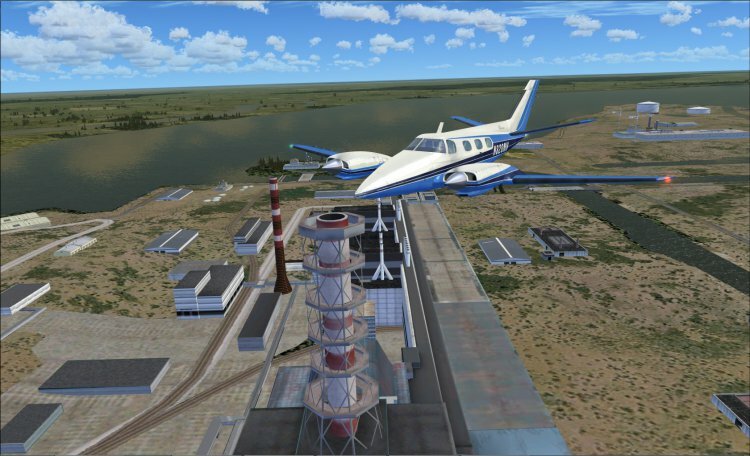 Scenario has no airfields, you can fly to Chernobyl from any Kiev airport: UKBB, UKKK, UKKM. 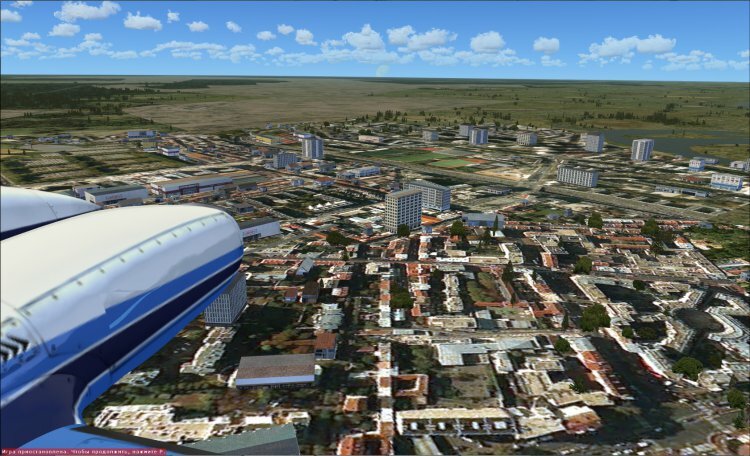 It`s suffisient to fly along Dnipro river to north, then turn left to nearest river Prypiat. More information you can find into archive readme file. Clear sky and soft landings to you!